We are now less than a month away from our first Festival Christmas Concert. 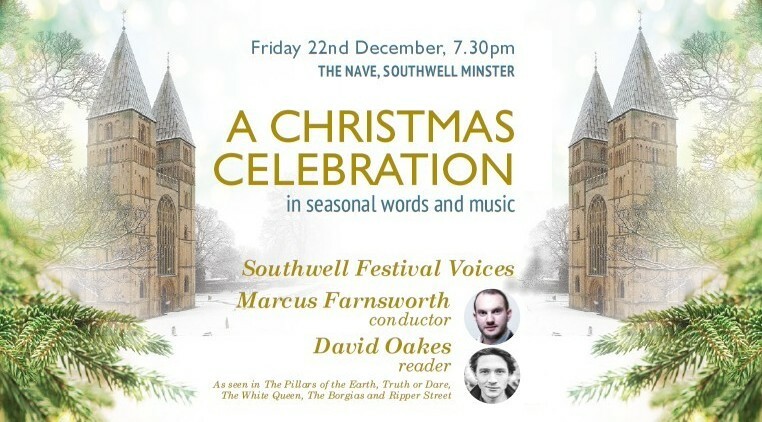 I am delighted to present our superb professional choir, Southwell Festival Voices, celebrating the very best of Christmas choral music in the glorious setting of Southwell Minster. 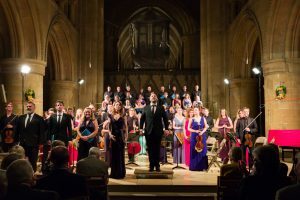 The programme is a celebration of Christmas through the ages in words and music: the music ranging from the mediaeval Hildegard von Bingen to Irving Berlin – including traditional carols alongside modern classics by composers such as Eric Whitacre and Jonathan Dove. 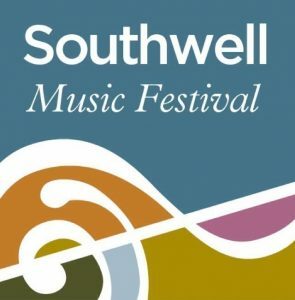 It is a long-held ambition of mine to present a programme of this kind in the beautiful setting of Southwell Minster. Its unique acoustic properties are a joy, both for the performer and when thinking about the wide range of repertoire that can be performed there. The seasonal readings in poetry and prose are led by leading TV, film and stage actor, David Oakes. David is perhaps best known for his portrayal of Prince Ernest in ITV’s hit drama, Victoria. We were contemporaries during our undergraduate degrees at the University of Manchester, and we once put together a choral Christmas programme with the University Chamber Choir! I look forward to welcoming him to Southwell for what will surely be a very special concert. 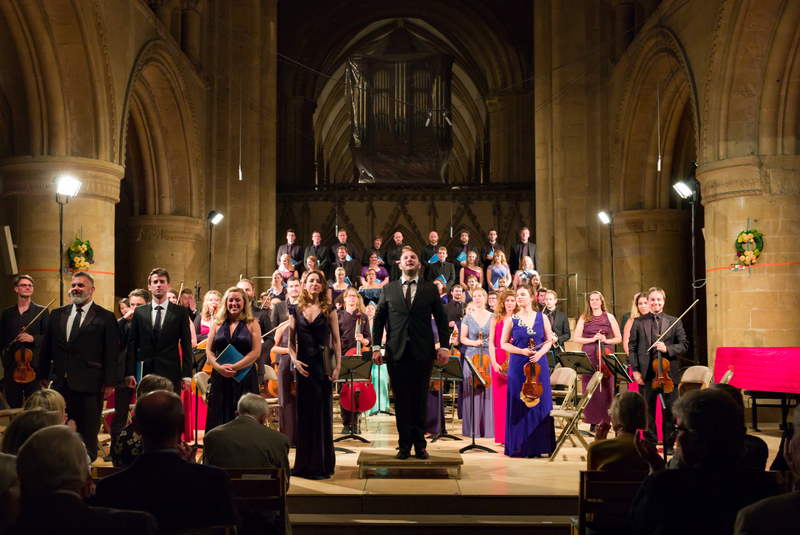 Tickets (£20, £15, £10) are available online, at the Cathedral Shop, Southwell or from the Royal Concert Hall, Nottingham (0115 989 5555). I look forward to sharing this potpourri of wonderful music and great seasonal readings with you on 22 December. It will get your pre-Christmas weekend underway in style.